If there is one thing that the 20th century is known for is its quick rise to the digital world. The last couple of years brought about several innovations pertaining to artificial intelligence, 3D printing, virtual reality, drones, and plenty more. All of these are relevant and crucial in the business operations within the different industries. In fact, there are those who have completely integrated their strategies into the digital marketing world. Indeed, communication has become much more efficient and marketers have found new ways to reach a new audience and expand their customer base. With that in mind, this article will explain the importance of digital marketing and why it is important to find digital marketing companies to do the work for you. How Can A Construction Company Benefit from Digital Marketing? The difference in the construction industry is that its procedures and projects have become much more complex and larger. If you are in the construction business, you will know that sustainability is one of the many crucial factors. This is needed to operate and manufacture the projects. Also, the number of workers with the right skills in their field has become limited. For each industry to survive this technological era, there is a need to adapt to the changes. Oregon Web Solutions (OWS) knows this as we use digital marketing as a means to grow and scale construction businesses. With the increasing number of social media platforms on the internet, more and more companies are making use of these for expanding their customer base. There is no reason why a construction company should not use them as they are are one more area to get found online. 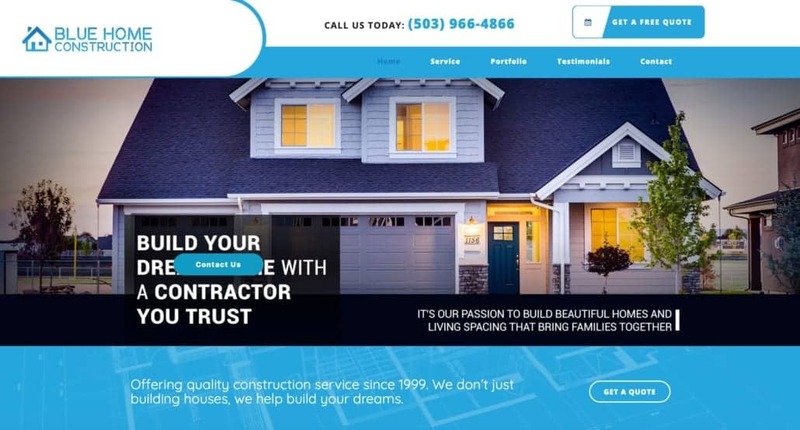 With the help of a professional internet marketing company, a construction company can build a web presence that separates them from the rest of the competition. You get to engage with your target audience and develop the right kind of relationship that has the potential to increase sales. Social media is one of the best tools that provides opportunities for building trust between a brand and its customers. As communication becomes much more efficient, companies are using the internet to reach a wider audience. The internet is a vast place where people store and retrieve data every day. Companies are using this to develop an online presence that will boost brand awareness. With the help of Oregon Web Solutions’ products and services, you can harness the true power of search engine ranking. 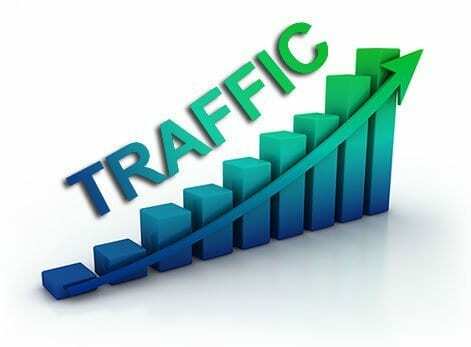 You’ll be able to create a consistent flow of traffic to your website which will result in new leads and customers for your business. The beauty of the digital marketing world is that you can reach new audience right from your home location (no traveling needed). With the online presence you will establish, you will have the power to communicate with your customers from anywhere in the world. In addition, you can ask them for testimonials to be posted on your website. Remember, word-of-mouth recommendations are one of the most effective forms of marketing strategy. Those who have provided great testimonials can serve as references for potential consumers. Another benefit you get from hiring an online marketing expert is that you get a chance to learn more about your customers. With this knowledge, you can focus on what they love and what they don’t love about your services. The comments and feedback from your customers are a great basis for re-establishing your operations to ensure that you provide high-quality service. Also, you get to learn more about your competitors as well. Depending on how you acquire these customer insights, you get a glimpse as to which of your competitors does your target audience love. By learning the gaps in your services, you are provided with an opportunity to become better. Those who are involved in the construction industry are and should be focused improvement and operations for their business. With this said, there is a high chance that they do not know some of the basics of marketing their products and services in the digital world. With OWS’s effective SEO strategies, you can ensure that your company will begin to reach the top search engine results pages or SERPs. This will guarantee a consistent flow of traffic and clients which is what we all want an d how you found this article! With proper consultation from our construction company digital marketing experts, we will formulate strategies that will ultimately increase your traffic and conversion rate. You will also learn a lot more about your current presence and how to improve it on your own. You’ll also learn the importance of local listings and having them properly optimized. Most are shocked as to how many people are searching for what you have in your own neighborhood and they will never find you if you don’t know how to place yourself in front of them properly. There are a great number of digital marketing companies and marketing strategies for construction and home improvement companies. Oregon Web Solutions can help you build a website that can match your company’s vision and appeal to your audience. A great website is the perfect place to display your work as well as testimonials from happy clients. A construction company’s website should be visually and aesthetically pleasing, but more than that, convert well. We are happy to assist you in this process. The website design chosen for your company will be sure to drive results. Another effective digital marketing strategy offered by OWS is Paid Advertising. With this, you can gain quick exposure to the online community as well as build a loyal customer base. Online advertising or paid channel marketing can also be referred to as pay-per-click or PPC campaigns. These can do wonders when properly used for your website. Digital Marketing For Construction Companies	Overall rating:	5	out of 5 based on 48	reviews.